Students shall wear prescribed uniform while on duty. 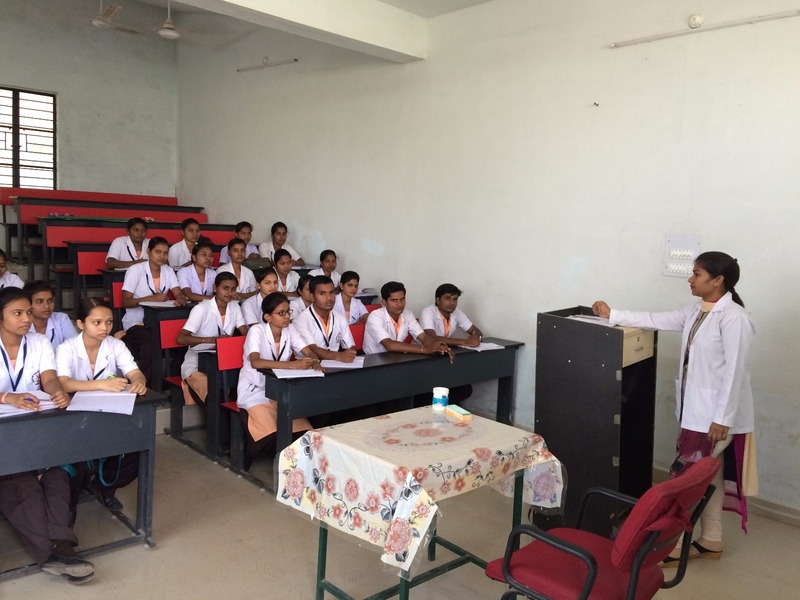 The students shall observe all rules and disciplines of the hostel, college and hospitals. The student shall undergo practical training in various Hospitals and Community Health Centres. Student will be posted in Speciality Ward during advanced study. Besides training, the students are expected to participate in all extra curricular activities such as Sports, Cultural Programmes, Academic Activities & Field Studies, arranged bythe College/Faculty. Every student of the college shall at all times be of good behavior and take proper interest in curricular activities. When a student, if found guilty of breach of discipline within or outside the premises of the college or misconduct, the Head of college may according to nature and gravity of the offence: – a) Suspend such students from classes for not more than a week at a time or b) Expel such students from the college or c) Disqualify such students from entering examination or d) Rusticate such students. A Candidate shall have minimum 8o% of attendance for appearing at University and Council Examination or rusticated. A Candidate must have l00% attendance in each of the Practical Area and mean before award of Degree. Before inflicting any punishment as aforesaid, the Head of the institution shall give the student an opportunity or personal hearing and record the reasons of inflicting the punishment in writing, with power to temporary suspension pending enquiry. Student trying to attempt or commit any kind of harm to his/her person or suicide, authorities of the college, hostel & hospital will not be held responsible. A student who has been rusticated shall not be admitted to another institution with in the jurisdiction or the university with in the period or rustication. Hostel facility has been arranged by the college. Details can be obtained from the management. 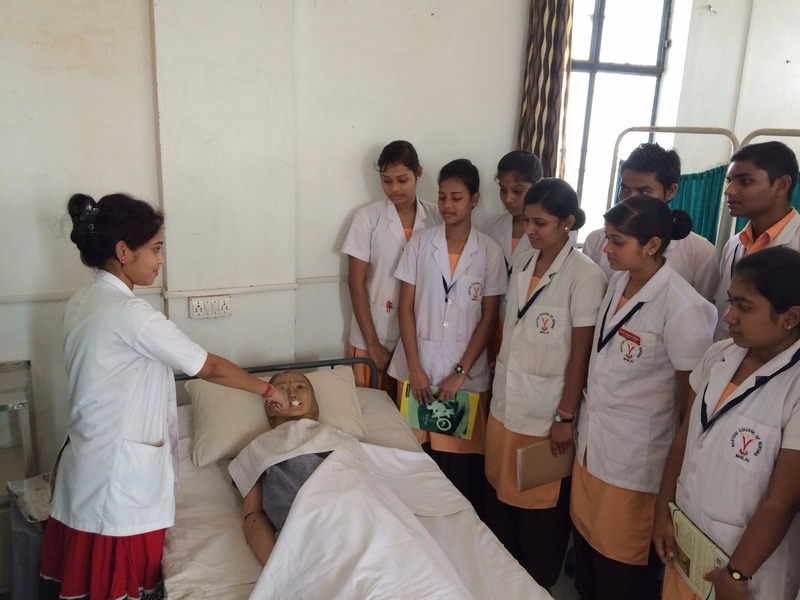 Medical expenses of students shall be done by themselves only. Local guardian / parents will bear the entire cost & responsibility during sickness. Management advices to vaccinate the students as per schedule, cost of which will be arranged by students. Immunization against common communicable diseases is compulsory. Railway concession is available to students as per Govt. rules. Mobile phones are strictly prohibited with in the college, hostel & hospital premises. Ragging is strictly prohibited. Those found guilty shall be rusticated. Cheating during examination may lead to suspension or rustication. Students are required to deposit the hostel fee including mess and other charges @40,000/- p.a. University and Council Enrollment Fee, Eligibility & Examination Fees shall have to be paid separately. Clinical charges are also payable on monthly basis to the hospitals forgetting clinical & speciality exposure. Students are required to give an agreement in the shape of a bond for the payment of total amount of fee and other charges payable for the whole course. The college reserves the right to make additions or alteration of the existing rules, working hours, time table, fee structure and mode of training as may be deemed necessary from time to time. Principal reserves the right to rusticate the student found indulging in acts prejudicial to the interest of institution or involved in gross indiscipline or immoral act.